Should videos replace the cover letter? The short answer is: they can. But we need the long answer to explain why and how. What are cover letters for? Cover letters are a way for candidates to introduce themselves in a professional context. In general with a cover letter candidates can elaborate their expertise and show a glimpse of their personality. But in large quantities cover letters tend to become a dull read. There is only so much room for a personal touch, so cover letters often contain more or less similar information. It's not necessarily a bad thing, or something that candidates do wrong, but just that it's often expected that cover letters are written in a certain format. For many it can be difficult to portray their persona accurately on paper. 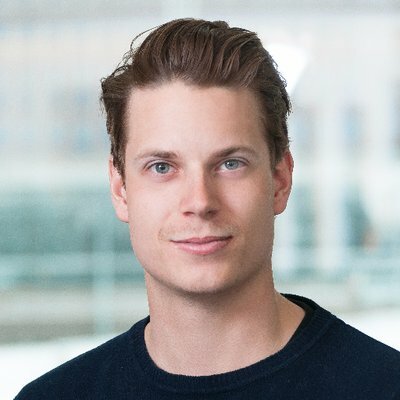 Of course videos do not offer a full solution to this problem, but at least with using videos recruiters have more information to ground their interpretation on. It’s easier, so to speak, to read between the lines when you see the candidate on a video rather than reading words on paper. So what I'm suggesting here is that in your everyday recruitment replacing cover letters with video introductions might not be a bad idea. Communication is not just words. Content-wise video introduction and cover letter may be identical, but body language can tell you a lot too. Some of the absorbed information will be subliminal and some conscious. And the more information you will receive, the more accurate and truthful your conception will become. Good writers are able to create nuances that will deliver more information than just the plain text. But in most cases either the writer is unable to do so, or the reader will misinterpret these, so the text might not achieve it's purpose completely. This causes information biases that using video, if will not remove completely, will at least minimize. Video is more honest. It will show you who is behind the resume and what they have to say. Nowadays it seems that in addition to candidate's skills, also candidates attitude and personality, or from recruiter's perspective, cultural fit, is emphasized. Assessing cultural fit via cover letter can be a hard task, but video can make it easier. 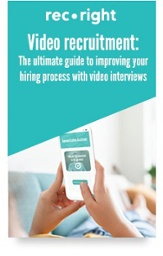 Since on video you can interview time-efficiently a number of candidates, you can also assess the cultural fit of these candidates more efficiently than using a cover letter plus personal interview combo. From candidate's perspective conducting a video interview is often a time efficient task. According to our latest Candidate Survey 75% of the candidates used less than one hour to complete the video interview. It's hard to imagine that writing a proper cover letter could be done faster. So video interviews don't save only recruiters' time but also candidates'. Personally I prefer watching candidate videos to reading cover letters. And this is not because I don't like reading. I love reading. It's because videos tend to offer more variety. And more variety embarks more interest and that way I will absorb more information and hopefully make better decisions. The main benefit in addition to more information lies in the effortlessness of videos compared to written text. Having all the information in the same tool, candidate profiles in a nice list and the video answers just one click away, it's very easy to screen and rate your candidates. A cover letter can offer valuable information on how well a candidate can structure their thoughts on paper and bring out relevant details. Correct spelling is also important. For many roles it’s more than valuable that the candidate can write flawless and well structured text. In these cases, especially if there is no other way to verify candidate's writing abilities, video interview should NOT replace cover letter. But it can still complement it. To conclude: on your everyday recruiting video introductions or video interviews can replace cover letters. There are exceptions of course, but generally speaking it all boils down to your personal preferences. Now when we got cover letters out of the way, we recommed you read about CV's next. Are you receiving cover letters via email? Especially if you have so far gathered applications via email, using a recruiting tool will bring you so many benefits. You will have all the information in the same place automatically. You can screen and rate the candidates, and your colleagues can do the same, all in real time. No more losing CV:s to the file jungle and creating new folders and organizing the old ones. For more information about our solutions click here. Subscribe to our blog and stay on top of recruitment and HR!